The correct answer: Mr. Magoo, the much-loved old school cartoon character (in the words of animators Bill Hurtz, Peter Burness, and authors Marty Gitlin and Joe Wos, respectively). After a long hiatus, on Wednesday night Magoo made a surprise return to pop culture, his name bouncing around cable news and trending on Twitter - all thanks to White House intrigue. As The Washington Post reported, President Trump’s relationship with Attorney General Jeff Sessions has reached a new low. Trump has reportedly taken to calling Sessions ‘‘Mr. Magoo’’ at the White House. 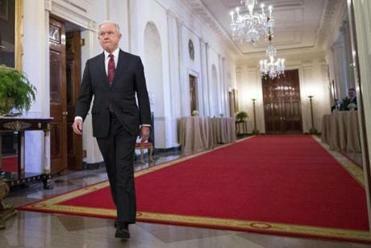 Coming from a president known for throwing derisive nicknames at enemies and allies, the dig could be a comment on anything from Sessions’s mental prowess to his age to physical appearance. Trump only knows. But there is another high-profile, tremendous, bigly important executive branch figure who may be a more apt comparison with Magoo. The central gag of the Magoo cartoons was his stubborn refusal to acknowledge his terrible eyesight. That arrogance is what propels the character into his madcap adventures. The cartoons, however, were actually barbed social satire lobbed from Magoo’s creators, a freewheeling band of animators who broke away from Walt Disney after World War II and created shorts mixing modern art and radical politics. The original Magoo - rich, resentful of the youth, pro-business and functionally blind - was a riff on the myopic conservatism of 1950s America, a culture gripped by the anti-Communist crusade of Wisconsin Republican Sen. Joseph McCarthy. The special counsel is reportedly investigating whether President Trump’s efforts were part of a monthslong pattern of attempted obstruction of justice. In the debut cartoon, Magoo goes on a holiday at a mountain retreat with his nephew. Due to his stubbornness about his eyesight, Magoo does not realize his nephew has left him and instead a grizzly bear is following him around. Hijinx ensue. 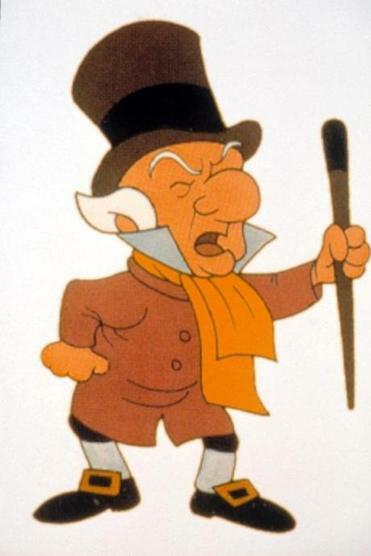 One cartoon scholar noted in the first film Magoo showed a ‘‘deep seated contempt for the generations that have sprouted around him.’’ This Magoo is brash and angry - comically unlikable. The joke, as in other earlier Magoo films, was the gulf between what Magoo was certain he saw (nephew) and what he was actually seeing (bear). This fit with the left-leaning ethos of the artists and writers at the studio behind the cartoon, United Productions of America (UPA). The company was made up of exiles from Walt Disney Production, artists who had organized and participated in a 1941 labor strike against the Mickey Mouse giant, according to Abraham’s book. UPA was unique among postwar animation shops. Unlike Disney or Warner Bros., the artists at UPA wanted to draw human characters, not singing and dancing animals. They also mixed in new artistic references - Matisse and Modigliani, New Yorker cartoonists Saul Steinberg and Robert Osborne - into the work. And when the creators sat down to write Magoo, they were not afraid to use the character’s single-minded ophthalmological arrogance as a link to McCarthy and the fevered hunt for Communists in Hollywood and Washington. But McCarthy’s pitchforks would eventually point at UPA. In 1947, Walt Disney testified before the House Committee on Un-American Activities, naming one of UPA’s founders as a Communist. Pressure came down on the studio. The original writers and animators who worked on Magoo were actually forced out of the company. The Magoo series was handed over to director Pete Burness; under the new regime, the character softened considerably - Magoo 2.0 was friendlier, more redeemable. The character rocketed to popularity, eventually jumping to television. Between 1960 and 1962, UPA produced 130 Magoo cartoons. Two of the company’s short films featuring the character won Oscars.